Elder Matthew Cowley witnessed and participated in countless miracles throughout his storied life. As an Apostle of The Church of Jesus Christ of Latter-day Saints, from 1945 until his death in 1953, Matthew was among the most spiritually powerful and well-known of the Lord's servants. In this compilation of vignettes, taken from personal journals and correspondence, as well as the treasured memories of those who knew him best, the details of many of his most miraculous experiences, including healing the blind and witnessing the raising of the dead, are painted in vivid detail. From his early missionary work with the Maori people of New Zealand to his widespread influence as an Apostle, Matthew blessed the lives of Church members around the world with his gifts of faith and healing. Sure to edify and uplift, this biographical portrait of one of the Lord's elect will inspire readers to recognize the mighty miracles in their own lives. Mighty Miracles is a book that will likely stick with me for the rest of my life. 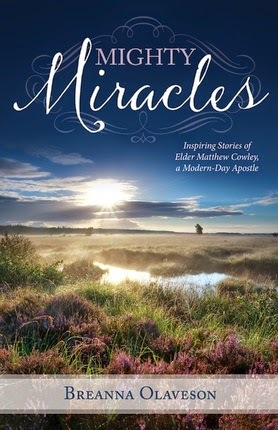 It is the biography of Matthew Cowley, mission president and beloved healer who often traveled to Polynesia. Cowley is a family name for me, my 4th great grandfather being Mathias Cowley, so I was naturally drawn to this title. Told in short two or three page glimpses into Matthew’s life, this is an easy and inspiring read. There are so many examples within Breanna Olaveson’s memoir that demonstrate miracles have not ceased in our day. I felt warm and comforted by a renewed faith while learning of Brother Cowley. I will pass this on to future generations as a reminder that the Lord works through his servants here on earth. 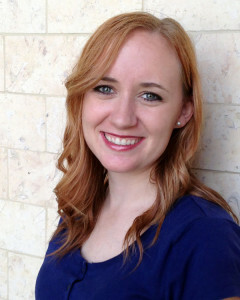 I’m a Mormon girl who likes to write. Welcome to the Facebook home of my news articles, blog posts, anecdotes and my upcoming book (coming in 2015). I worked in the magazine industry before taking my writing from full-time to nap time with the birth of my first daughter. I now have two daughters and get to write a lot from home. I have the two best jobs in the world!